For such a comparatively small place, Noosa punches well above its weight when it comes to major cultural ‘happenings’ whether they be sporty, foody or arty. Be aware that accommodation/restaurants can be busier during festivals. In May, Noosa cooks up one of the best culinary events in the Australian calendar: the International Noosa Food & Wine Festival. Australia’s top chefs and winemakers collide with thousands of hungry gourmets and wine buffs. In June, The Noosa Long Weekend festival celebrates a diversity of arts through the best opera, drama, film and fashion. 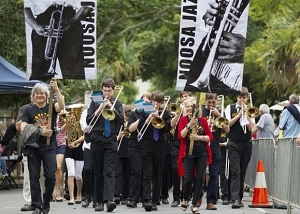 In August, it’s the turn of the Noosa Jazz Festival. This consists of more than 90 jazz sessions involving the nation’s top jazz musicians hosted in 30 Noosa restaurants as well as some outdoor venues.